With the rise of smartphones and social media over the past decade, brands have never had more direct access to connect with their consumers. However, when every brand is doing it, the competition for consumer attention has never been more challenging. That’s where experiential marketing comes in. It can stand on its own or it can play a key role in an integrated marketing campaign. Either way, it allows brands to take their product and messaging directly to the consumer in a way that no other form of marketing can. In fact, according to the EventTrack 2018 survey, 85% of consumers are likely to purchase after participating in events and experiences, while 91% feel more positively about brands after attending events and experiences. With statistics like that one has to wonder why brands don’t allocate more of their marketing budget to experiential. Experiential has been slowly gaining a larger portion of marketing budgets over the past few years, to be sure, but evidence suggests that it deserves an even larger share. Here are a few reasons. We’ve all seen quotes such as “Collect moments, not things” or “Have stories to tell, not stuff to show.” Many of us have probably posted something similar on social media. But that sentiment applies to marketing too. Of course, the ultimate goal for a brand is to convert a consumer, whether it be to purchase their product or download their app or subscribe to their newsletter – and thus, turn the consumer toward their “things” – but doing so through experiences is more effective than other channels. Per Staistica’s influence of branded events on consumer purchase intent study, 93% of consumers claimed that live events had a larger influence on them than TV ads. Experiencing a brand or a product leaves a longer lasting impression than simply being told about the brand or product. As consumers have become more connected to each other and gained more influence in the purchasing cycle through online reviews, they’ve come to see right through marketing messages. Instead, they are relying more on their own experiences with products and the experiences of those they know and trust. Traditional forms of marketing still have their place, but when a consumer can see, touch, feel, taste, and hear a product in person they can make up their own mind about the product. That doesn’t mean the brand doesn’t have any influence, however. The brand can – and should – craft a persuasive message to help guide the consumer to the brand’s desired outcome during this experience. By letting the consumer experience before purchase, they not only give the consumer a sense of authority, they also build brand affinity. Google is one of the world’s foremost technology companies, boasting the most-visited website in the world, and generating most of its revenue from advertising. So it would be easy to assume the Internet giant would focus exclusively on digital advertising for its new products. That wasn’t the case last week at the Consumer Electronics Show in Las Vegas. To showcase its Google Assistant product, Google stole the show by using their massive booth space to take consumers through a three-minute Disney-like ride. 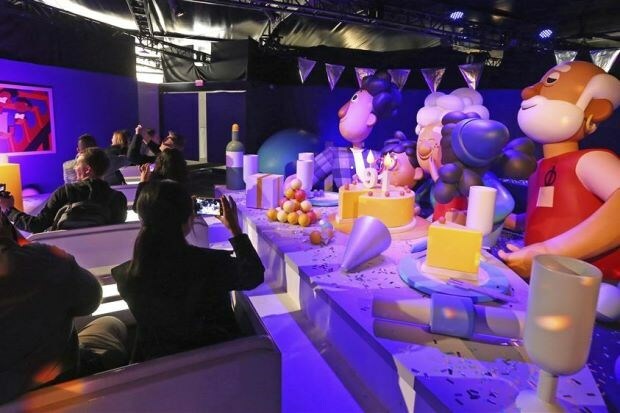 The ride, which Google affectively named The Ride, carried consumers through what some have likened to Disney’s famous It’s a Small World ride, and showcased how Google Assistant can improve various aspects of daily life in the process. From routing you around a traffic jam or bad weather to helping you find a bakery or recipes to simply taking a selfie, the ride took consumers through a day in the life of a cartoon-like dad. It even included interactive scenes for those waiting in line to set the tone. Each scene let consumers experience how Google Assistant can improve the everyday moments of their life. Even if you weren’t actually at CES, chances are you’ve heard about it by now. New outlets and attendees alike have shared their experiences and opinions of The Ride and CNET debated whether Google or Amazon won CES. That leads to my third point. When done right, the actual experience should just be the starting point in the conversation between a brand and the consumer. It should connect consumers to your brand and turn them into brand evangelists. By designing an activation that gives the consumer the one-on-one experience of – at the base level – tasting a sample, getting their hands on the product, or receiving a demo. These experiences when done in a creative and engaging way can hook the consumer on your brand, result in them to sharing content related to the experience (user generated content), and encourage them to advocate for your brand to their family, friends, and social network. According to EventTrack, 98% of consumers create digital or social content at events and experiences and 100% of them share that content. Additionally, 72% of consumers say friends’ posts about branded experiences make them more likely to purchase from that brand. 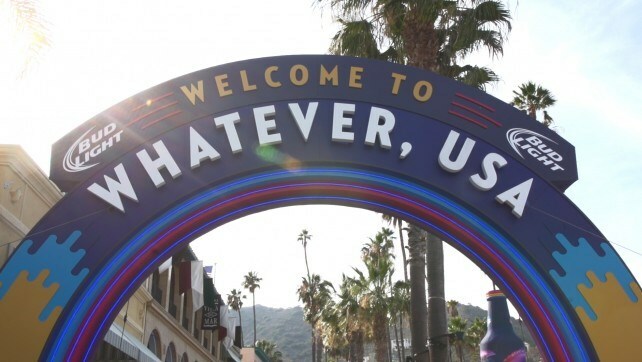 One high-profile example of this was Bud Light’s Up for Whatever campaign in 2014, which turned Crested Butte, Colo. into the fictional Whatever, USA and flew 1,000 unsuspecting consumers to town for a weekend of spontaneous fun. Unique experiences such as painting with Shaq or ice cream served by Vanilla Ice led to 37,000 pieces of unique content being shared on social media, which was the ultimate goal of the campaign. Only 1,000 consumers attended, but more than 15 million people viewed content via Facebook and Twitter that came out of it. It was so effective that when they recreated it with Whatever USA 2.0 year later, it received 1.7 million auditions, which represented 5% of the total millennial population. The two examples used -- Google and Bud Light – are two huge brands, but it doesn’t take a million-dollar budget to produce an effective experiential program. I have managed successful experiential programs for smaller brands on smaller budgets like Kettle Brand, Sea Cuisine, Welch’s, and Evolution Fresh that grew market share, increased brand awareness and affinity, and drove sales. One way to take your brand to the consumer is with a marketing trailer. That’s where Advantage Trailer comes in. With 30 years of experience, we’ve customized trailers for brands and agencies alike. Whether you are looking for a stage trailer, a pop-up trailer, or a food trailer, our trailers range in size and cost and can be fully customized to suit your brand. There’s no limit to what we can do. We build dreams. At the same time, we also understand the power of experiential marketing because we’ve been in your shoes. We’ve answered to brand-side clients; we’ve managed experiential programs. We get it. And that’s what makes us more than just another trailer vendor. We deeply care about the success of your program because we’ve been there. As you build out your 2019 marketing programs, please give us a call at 630-524-2029 or contact us at marketing@advantagetrailer.com to discuss how we can serve you. Located just outside Chicago we’re ideally located for Chicago-based agencies and brands, as well as marketing programs that launch in the Midwest.